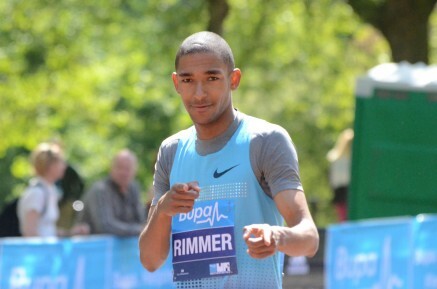 Birmingham, 29th June 2014 – In a season disrupted by injury Michael Rimmer (GBR) showed great determination to win his 7th British 800m title at the British Championships in Birmingham. The Jon Bigg coached athlete came into the Champs with a season’s best of 1:46 but in blustery and wet conditions found an extra gear in the home straight to pass fellow PACE athlete Andrew Osagie (GBR) and cross the line in a time of 1:48.00. Osagie, who has a SB of 1:45, was held back by a tight hamstring and wasn’t able to hold off Rimmer challenge as he settled for 3rd in 1:48.37. Elsewhere Rhys Williams (GBR) placed 4th in the 400mH with Tom Lancashire (GBR) 4th in the 5000m.